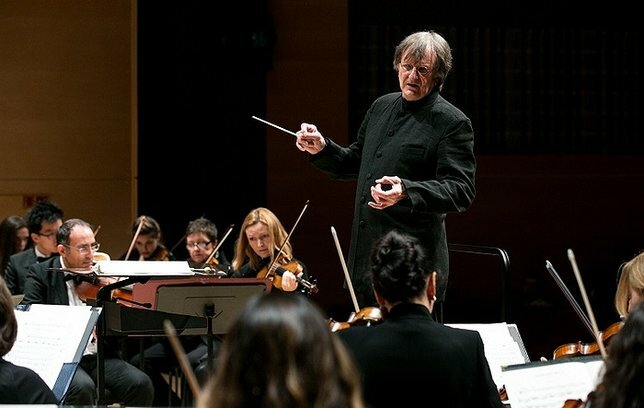 AUPAC presents the Adelphi Symphony Orchestra which brings together talented University students who play alongside their professors and orchestral instrumentalists. Garden City, NY - October 21, 2016 - Adelphi University’s Performing Arts Center (AUPAC) is proud to present the Adelphi Symphony Orchestra which brings together talented University students who play alongside their professors and some of the area’s finest orchestral instrumentalists. The program will take place on Thursday, November 3, at 8:00 p.m. on the Westermann Stage of the Concert Hall at 1 South Avenue, Garden City, NY. Pulitzer Prize winner and Adelphi Professor Paul Moravec, who recently celebrated success of his opera The Shining, based on the Stephen King novel at Minnesota Opera, is represented by his lyrical and thoughtful cello concerto Montserrat (inspired by the mountaintop retreat of legendary cellist Pablo Casals), with famed New York cellist Daniel Barrett as soloist. Specially featured on this program is the U.S. premiere of a beautiful work for string orchestra by Lithuania's leading composer Onūtė Narbutaitė. Entitled Opus lugubre (“The Task of Mourning”), this was written in 1991 as the composer watched murderous rearguard actions of soon to be withdrawn Soviet troops in her capital city, Vilnius. Graduating senior Ece Ozaman will be featured as a soloist in Richard Strauss’ First Horn Concerto; and Claude Debussy’s history-changing orchestral masterpiece La Mer (The Sea) concludes this spectacular orchestral showcase. For additional information on Adelphi’s Department of Music, visit online. Adelphi University Performing Arts Center (AUPAC) is one of Long Island’s premier cultural arts venues for entertainment of all kinds. Tickets are currently on sale and are priced at $25, with discounts available to seniors, students and alumni. Information is available at The Lucia and Steven N. Fischer Box Office at (516) 877-4000 or email. Regular box office hours are Tuesday through Friday from 1:00-6:00 p.m. The box office is also open two hours before most scheduled performances. Subject: LongIsland.com - Your Name sent you Article details of "Adelphi Symphony Orchestra Conducted by Grammy-Nominated Christopher Lyndon-Gee on November 3"